Again, back story first. My car collision was more than two months ago, but I am still “enjoying” the pain-numbing effects of a Fentanyl patch, such as lack of energy, emotional instability, forgetfulness that my arm doesn’t work right yet and frequent break-outs as a sweaty mess when I do too much. Fast forward to yesterday when I attempted a fieldtrip because one dog is late on his rabies shot and the other dog is due. The close and handy Petco (read: not in the ghetto) only has a shot clinic on Friday night and we had a conflict. 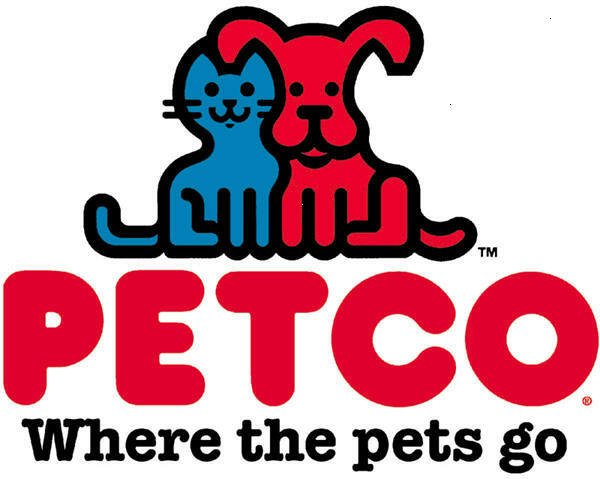 SO, my two daughters and I along with the two pooches planned a mid-morning trip to another not-so-handy and not-close-at-all Petco (read: in the ghetto). Little did we realize that everyone who lives in the slums also decided to get their dogs’ rabies shots yesterday morning. The pain patch + 2 squirrely dogs + Petco full of dogs and “interesting” people = pandemonium to the third degree. We parked in the lot and discussed who would hold the leashes while we crossed traffic and entered the store BEFORE we opened any of the doors. That was the only moment when things went down as planned. Being unable to hold a yanking-leash in my right hand, I held onto my little girl’s hand. My big girl held the wiener dog and had the rat terrier on a leash. So far. So good. As we entered the store, Ringo, the wiener dog decides to announce our arrival with his big-dog voice and won’t shut up, which invited all the other dogs in the store to welcome us as well. I glanced to my right and saw the clinic table set up and three people in line. We made our way down the center aisle of the store with our heads glued to the right as we were overcome row after row at the length of the line. Finally toward the rear of the establishment, we discovered our place right behind an over-fed and under-socialized huge yellow lab. At our arrival, the lab went ballistic barking and pulling his owner off balance (a full grown man) to get to our puny doggies. Breathing deeply though my nose to gain composure and accept the fact that we were in for a long wait, I suggested to my eldest that she get a cart to put our doggies in for their own protection. In the blink of an eye, the red leash on the rat terrier was handed to the little nine-year-old hand that didn’t close in time to stop the escape of Trixie. Without thinking (obviously) I screamed, “WHAT ARE YOU DOING?” which was pretty obvious….. she was not holding the dog leash. It has been many years since I have moved that fast. Trixie was running with her ears back and her tail tucked and was bee-lining for the front door. It must have been quite a sight for all the people standing in line seeing the teeny white dog dragging a red leash followed by the flash of a woman at the end of the row. Near the registers I was able to step on the end of the leash and clothesline the AWOL fugitive. Trixie’s head stayed in place and I’m sure she was trying to figure out why her tail just passed her head. While reaching down to grab the red restraint, my sun glasses tumbled out of my purse and made a sizable raucous to draw more attention to the woman who couldn’t control her tiny mongrel. Victoriously I gathered my glasses and my hound and casually walked back to the rear of the store not making eye contact with anyone who just witnessed the overthrown departure (read: hot sweaty mess, shaky hands, emotionally volatile). A ten-year-old terrier wasn’t going to get the best of me. No sirree. As previously planned, my eldest went to retrieve a cart to protect our pets. Meanwhile, back in the ghetto, Jim Bob’s homemade collar on the fat yellow dog gave way and the mutt pounced on my pup. His owner sluggishly slurred, “Well, how’d that happen?” as he slowly made moves to re-tethered his pooch. That dog was going to have to get through ME to have one mini sniff at my dog’s rear end! Not happening. At that moment, I didn’t care how lofty the fines were for not meeting the deadlines for rabies shots. “We are leaving NOW,” slipped out through my tight lips and we made our way back through the shop, crossed the poorly planned parking lot traffic and went home. Before collapsing on my bed I took three ibuprofen (because stabbing pain was searing through my arm) and two stool softeners for good measure. Come back next week for Friday night’s version of Rabies Shots 2nd Attempt.